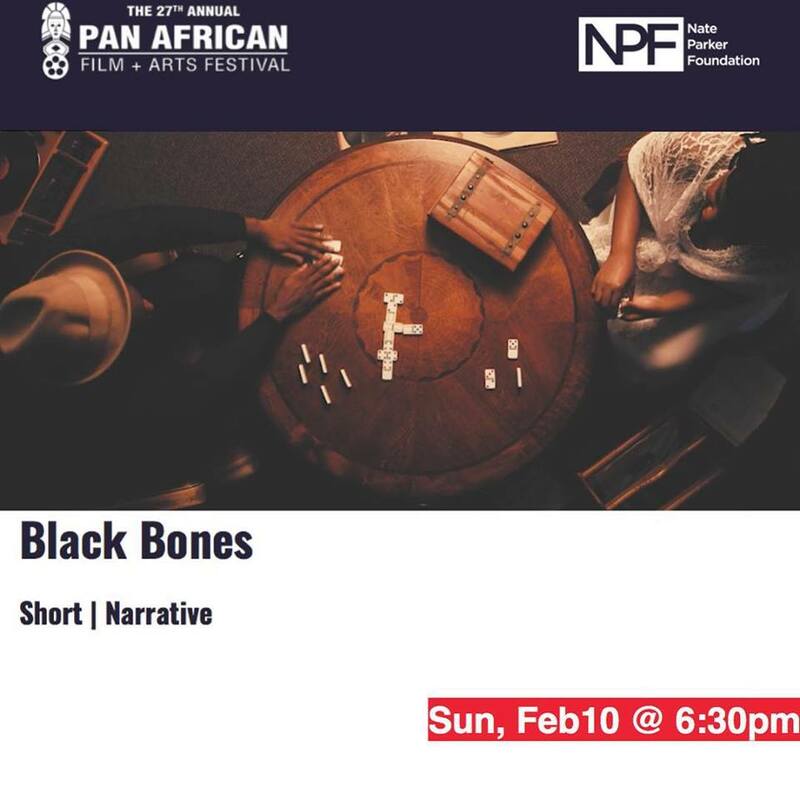 The Nate Parker Foundation (NPF), which is dedicated to empowering young black filmmakers, celebrated two student films "Black Bones" and "Showtime," which were featured this weekend at the Pan African Film Festival Los Angeles (PAFF-LA), which is largest black film festival in the world. Nate Parker, NPF founder and CEO said, "This is a proud moment for our organization. I'm humbled that our students are seeing so much success and others are celebrating their work. It's been a lifelong dream of mine to help foster diversity behind the camera and to see this happen brings so much joy to our foundation's faculty and student family." Shemar Yanick Jonas, NPF student and "Black Bones" co-director said, "I always had a big passion for directing, but NPF gave me the tools to understand angles and different shots that helped me co-create this film. I'm forever grateful. Black Bones is a story that in some way assists in healing and finishing the unfinished business of our ancestors." Shawn Antoine II, NPF student and "Showtime" director said, "Showtime takes viewers into the unforgiving world of a New York City subway dancer. As a Harlem native and daily train commuter, I was always mesmerized as kids would strut onto the train and shout 'Showtime.' For many of my friends, dancing in the subway was their way of not falling victim to the rampant crime in our neighborhood. Manifesting this project was certainly a process, but fortunately I was able to call upon two of my instructors from the Nate Parker Film Institute." NPF, a 501(c)(3) non-profit organization that seeks to empower young black storytellers, proudly helped to facilitate the production of two films featured at the PAFF, which was held from February 7 to February 18. This year, the PAFF, which is an Academy Award qualifying festival, featured two NPF films. One of the films, "Black Bones," was codirected by several 2018 Summer Institute students including Shemar Jones, Brianna Clay, India Johnson, Melissa Rocca, Adrian Woodard and Garret Stiell. 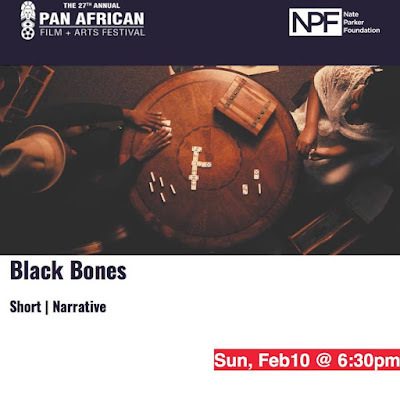 "Black Bones," which was presented at the Cinemark at Baldwin Hills, details the story of children who are mysteriously confronted with horrible unknown truths from their family's past while playing a game of "domino bones." "Black Bones" was filmed during the NPF summer program at Wiley College, a four-year, historically black college/university (HBCU) in East Texas. NPF founder, Nate Parker, was introduced to the college as a young actor in "The Great Debaters" alongside Forest Whitaker and Denzel Washington, who served as mentors to him. In addition to "Black Bones," 22-year old NPF student Shawn Antoine II's film "Showtime" was added as an official selection of the PAFF. The film tells the dynamic story of Darius, a Harlem, New York street dancer or "litefeet" dancer. In addition to the PAFF, "Showtime" was named an official selection for 7 other film festivals across the country. Antoine is a public relations major and double minor in film media and Africana studies at the University of Rhode Island. The Nate Parker Foundation (NPF) is a 501(c)(3) non-profit organization that seeks to empower young black storytellers to change culture through film. NPF breaks barriers in the film industry by disrupting established avenues towards film production and fostering diversity behind the camera. For more information about NPF, please email info@nateparkerfoundation.org.